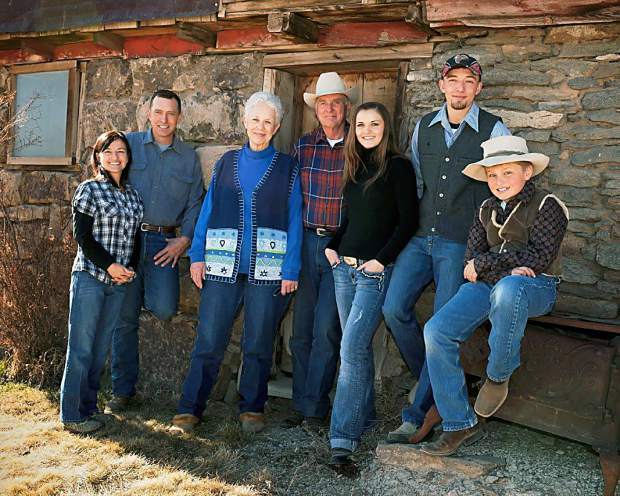 Two members of the Hammond family, pictured left to right Earlyna, Steven, Susan, Dwight, Claire, Corbin and Emery, reported to prison Monday for setting fires to federal grazing lands. Dwight and Steven Hammond were originally convicted three years ago for setting fires in 2001 and 2006, according to the Associated Press, but after serving their original sentences, were sent back to prison because of a ruling in an appeals court. 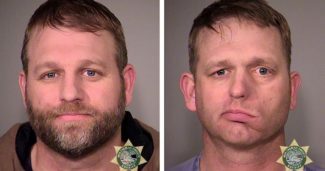 Their case sparked the latest outcry against government-held public lands, and a group of militia protesters took over a plot of land at Malheur National Wildlife Refuge near Burns, Ore., about 300 miles from Portland. Editor's Note: We have compiled a list of all the articles we have published, as well as a timeline of the events, surrounding the Bundy Standoff and other incidents relating to government’s role in public land management such as the Hammond Fire Trial and the occupation of the Malheur National Wildlife Refuge. Click here to read more. “I call it ‘as the sagebrush burns,'” said Erin Maupin of the long and storied history involving the Bureau of Land Management (BLM), special interest groups and the cattle ranchers on the Steens Mountain of Oregon. Dwight, 73 and son Steven, 46, admitted in a 2012 court case, to lighting two different fires. Both fires started on Hammonds’ private property. The Harney County ranchers are paying the BLM $400,000 in a separate settlement. “The jury convicted both of the Hammonds of using fire to destroy federal property for a 2001 arson known as the Hardie-Hammond Fire, located in the Steens Mountain Cooperative Management and Protection Area,” said the Department of Justice news release. “The Jury also convicted Steven Hammond of using fire to destroy federal property regarding a 2006 arson known as the Krumbo Butte Fire located in the Malheur National Wildlife Refuge and Steen Mountain Cooperative Management and Protection Area. An August lightening storm started numerous fires and a burn ban was in effect while BLM firefighters fought those fires. Despite the ban, without permission or notification to BLM, Steven Hammond started several “back fires” in an attempt to save the ranch’s winter feed. The fires burned onto public land and were seen by the BLM firefighters camped nearby. The firefighters took steps to ensure their safety and reported the arsons,” continued the DOJ release. The two men were sentenced to prison in 2012. Steve served eleven months and Dwight three. The men were charged with nine counts, including conspiracy, using aerial surveillance of sites they burned, attempting to destroy vehicles and other property with fire, and more. Dwight and Steve were found guilty of two counts – the two fires they readily admitted to starting on their own property. In order to draw the original court case to a close, the two men, in a plea deal, agreed that they would not appeal the 2012 sentence. The Department of Justice news release said arson on federal land carries a five-year mandatory minimum sentence. Judge Michael Hogan, however, did not give the two men the minimum sentence called for under the Antiterrorism and Effective Death Penalty Act of 1996, saying it would have been “grossly disproportionate” to the crime. He added that a longer sentence would not meet any idea he has of justice and that he didn’t even believe congress intended that act to be applied in cases like the Hammond one. A longer sentence than the few months he gave them would “shock his conscience” he said. The Department of Justice appealed for a full sentence. The Ninth Circuit Court of Appeals agreed to a review of the case and District Chief Judge Ann Aiken went ahead with a full sentence – five years in federal prison for both men, minus time already spent. Dwight’s wife Susan shared some crucial details in an exclusive interview with TSLN. After 34 years working for the U.S. Forest Service in Oregon, Rusty Inglis resigned from his position with the federal government and now ranches about 40 miles from the Hammonds and is unique in the area – he has no federal land permits and operates strictly on private land. The Hammonds were charged with 9 counts in the original court case. The BLM accused the Hammonds of several 2006 fires, including a large one known as the Granddad, which blazed about 46,000 acres. According to the 2012 sentencing document, the jury found the men innocent or were deadlocked on all but two counts – the two fires the men admitted to starting – burning a total of about 140 acres. Judge Hogen dismissed testimony from a disgruntled grandson who testified that the 2001 fire endangered his life and that of local hunters, saying the boy was very young and referencing a feud that may have influenced the testimony. “Well, the damage was juniper trees and sagebrush, and there might have been a hundred dollars.” He added. On the flip side, Maupin remembers numerous times that BLM-lit fires jumped to private land. Neighbors lost significant numbers of cattle in more than one BLM fire that escaped intended containment lines and quickly swallowed up large amounts of private land. 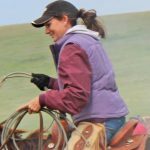 To her knowledge, no ranchers have been compensated for lost livestock or other loss of property such as fences. Gary Miller, who ranches near Frenchglen, about 35 miles from the Hammonds’ hometown, said that in 2012, the BLM lit numerous backfires that ended up burning his private land, BLM permit and killed about 65 cows. A youtube.com video named BLM Working at Burning Frenchglen-July 10, 2012 shows “back burn” fires allegedly lit by BLM personnel that are upwind of the main fire, including around Gary Miller’s corrals. The fire that appeared ready to die down several times, eventually burned around 160,000 acres, Miller said. Bill Wilber, a Harney County rancher, said five lightening strikes on July 13, 2014, merged to create a fire on Bartlett Mountain. The fire flew through his private ground, burned a BLM allotment and killed 39 cows and calves. While the fire could have been contained and stopped, BLM restrictions prevent local firefighting efforts like building a fireline, so only after taking in 397,000 acres did the fire finally stop when it came up against a series of roads. Two South Dakota prescribed burns, ignited by the U.S. Forest Service, blew out of control, burning thousands of acres of federal and private land in 2013. Ranchers that suffered extensive property damage from the Perkins County, South Dakota, “Pautre fire,” filed tort claims in accordance with federal requirements, but will receive no compensation because USDA found the U.S. Forest Service not responsible for that fire. “The story is like an onion, you just keep peeling back the layers,” Maupin said. In an effort to stave off what they feared was a pending Clinton/Babbitt monument designation in 2000, a group of ranchers on the scenic Steens Mountain worked with Oregon Representative Greg Walden, a republican, to draft and enact the Steens Mountain Cooperative Management and Protection Act that would prevent such a deed. The ranchers agreed to work with special interest “environmental” groups like the aggressive Oregon Natural Desert Association and others to protect the higher-than 10,000 foot breathtaking peak. “The last holdouts on that cow-free wilderness were the Hammonds,” explained Maupin. And because the Hammonds have large chunks of private property in the heart of the cooperative management area, they carried a target on their backs. “It’s become more and more obvious over the years that that the BLM and the wildlife refuge want that ranch. It would tie in with what they have,” said Inglis. The Hammonds also lost their ability to water cattle on one BLM permit when refuge personnel drained a watering hole that the Hammonds had always used. Maupin said the government scientists and resource managers working “on the ground” supported the Hammonds’ use of the water but that the high level bureaucrats backed special interest anti-grazing groups. 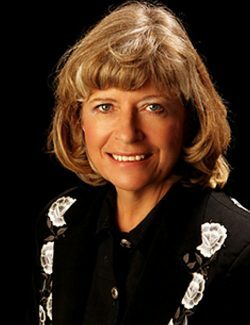 “There is a huge disconnect between employees on the ground and the decision-makers,” she said, building tension between ranchers and federal agencies. In the Hammonds’ plea agreement in the 2012 trial, the BLM obtained the first right of refusal should the family have to sell their land and BLM leases, Maupin added. The Maupins themselves had a small lease that also bordered the “cow-free wilderness” and the Oregon Natural Desert Association was “relentless in their pursuit to have us off, in order to expand the cow-free wilderness,” Maupin said. The group would criticize the ranchers’ water usage, causing them to pipe water to their cattle, which in turn instigated more complaints from the group. Steve and Dwight Hammond will turn themselves in to for their prison sentences in early January, Susan said. The family has sold cattle. Their BLM permit has not been renewed for two years, leaving them unable to use even a large amount of intermingled private land. The five-year prison sentence sets a worrisome precedent for area ranchers, Maupin said. Another precedent – one for fire that burns beyond expectations – should apply to everyone, including federal employees, though, Maupin points out. Susan Hammond isn’t sure where to go from here. “We’ve been fighting it for five years. We don’t want to destroy people as we are fighting it even if it is a BLM employee,” she said, “They live in our community and they have families. We respect that.” The situation could get even more ugly but that “it’s not going to be our fault,” she said. Maupin talked about the Hammonds helping her and her husband with ranch work, like hauling cattle, lending portable panels and never expecting anything in return. Wilber recalled them hauling 4-H calves to the fair for neighbors and Inglis said Dwight once offered to lend him money because he thought he needed help. “Here’s a guy with $400,000 in fines and legal bills I can’t imagine, worrying about my welfare,” said Inglis. Property rights attorney Karen Budd-Falen from Cheyenne, Wyoming, agrees. “What totally amazes me is what these guys did – they burned 140 acres. If you compare that to the EPA spill in Colorado, it amazes me that nothing will happen to those EPA employees. You have cities down there with no drinking water. The Hammonds didn’t do anything like that,” Budd-Falen said. “It’s going to get worse before it gets better,” said Maupin. The BLM deferred all questions to the Department of Justice who shared their official news release but did not respond to e-mailed questions as of print time.